When Gone Baby Gone hit theaters in the fall of 2007, there was a similar refrain coming from critics and audiences alike: The guy who starred in Gigli is capable of this? Step back with me to 2003. Ben Affleck, not too far removed from Oscar glory for co-writing Good Will Hunting, appeared in the rom-com Gigli, widely considered one of the worst movies to ever grace our screens. Famously, Affleck fell in love with Jennifer Lopez on set, leading to the “Bennifer” media hysteria. Following the Gigli disaster, Affleck’s movies immediately took a nosedive. Surviving Christmas, Man About Town, Hollywoodland… stop me if you’ve seen (or even heard of!) any of these. You could say Affleck was lost in the wilderness for a few years there. He was an A-list celebrity who didn’t seem to make any good movies. So you can imagine the pleasant surprise that accompanied Gone Baby Gone, his directorial debut. The Ben Affleck Comeback makes for a tidy narrative, but let’s not overlook this poignant film. In addition to Affleck’s influence, Gone Baby Gone has an authentic look, a few tremendous performances, and a remarkably ambiguous ending. Set in present-day Boston, a little girl named Amanda McCready goes missing and her family (and negligent mother) hire two detectives, Casey Affleck’s Patrick Kenzie and Michelle Monaghan’s Angie Gennaro. A kidnapping is a classic movie premise, but Affleck and co. do little things to separate their film from others. For instance, Ben Affleck’s direction is nothing flashy. There’s not too much wizardry involved here; he just lets his actors go to work, which is exactly what you would expect from an actor-turned-director. However, it’s the Boston he presents to us that makes his film so visually effective. Growing up there, he knew how to create the most authentic feel of working-class Boston possible. 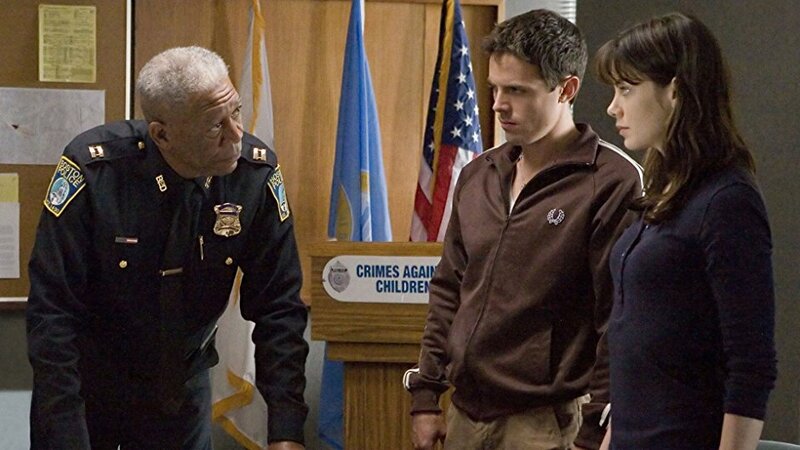 Gone Baby Gone doesn’t feel Hollywood-ized, in this sense. 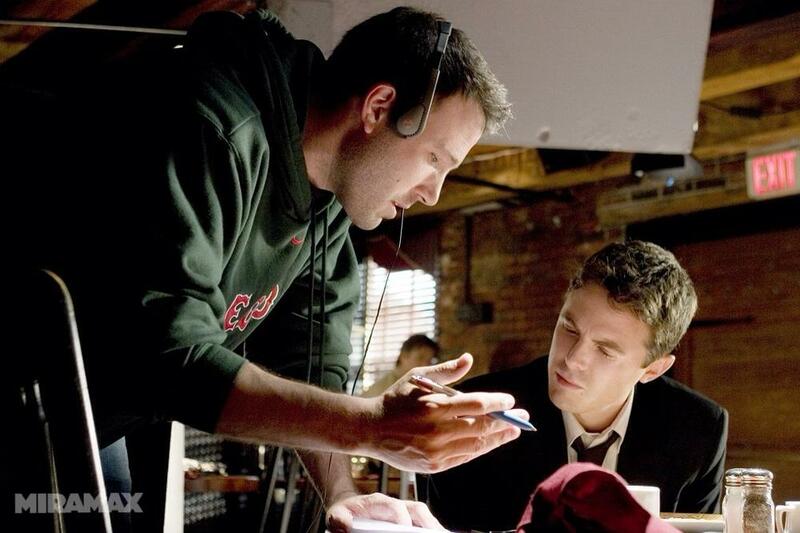 Affleck hired many non-actors, not just as extras, but speaking roles too. In the bars and on the street corners, you see and hear a gritty, unvarnished Boston. Over the last ten years, Boston has been even more thoroughly covered on screen, which you can mostly credit Affleck and Mark Wahlberg for. From The Fighter to The Town to Ted, the Boston movie has become its own cottage industry. Back in 2007, however, the accents and vibe of the Boston movie had not yet become overdone. 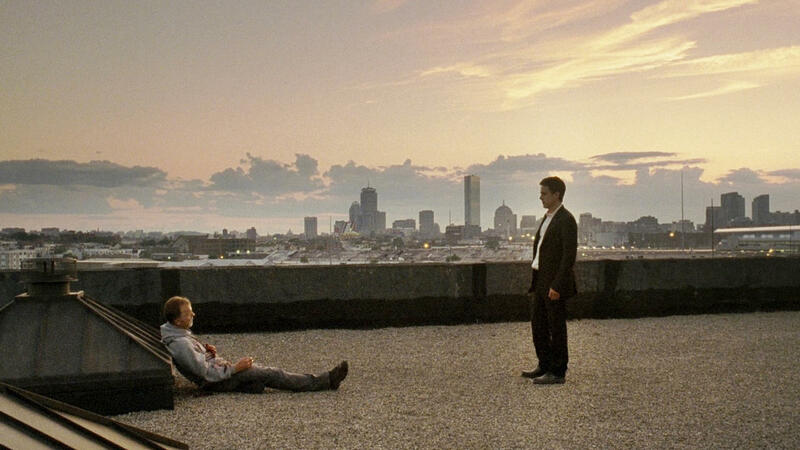 Gone Baby Gone feels special in this way (much of 1997’s Good Will Hunting was not shot in Boston), like it set the stage for the raw, lived-in Boston we would see in subsequent films. While it may feel authentic visually, the script doesn’t always reach those same heights. Adapted from a Dennis Lehane novel by Affleck and Aaron Stockard, the author seems like a perfect fit for Affleck (he just adapted another Lehane book last year called Live By Night). At times, though, the screenplay becomes somehow both too thin and too convoluted. As good as Monaghan is here, her part is grossly underwritten. It feels like we don’t know anything about her or her relationship with Patrick (Casey Affleck). Private detectives that are also dating seems like fertile ground for story, but when there is disagreement on what to do when Amanda is found, we don’t get a full picture of why they are coming from different places. The reverse problem is that the narrative gets too muddled to follow on a first viewing. In a flashback, we actually see a scenario play out that didn’t really happen, further confusing viewers. I’m not sure if there is one too many twists or if the plot just needed to be a little more streamlined, but it took me another watch to figure out what’s going on. Ultimately, these issues don’t weigh too heavily on Gone Baby Gone, probably because there are a few performances that really shine. This was the first role that proved Casey Affleck could lead a good-to-great film. Ten years later, he’s an Academy Award winner for Best Actor, serving as the exclamation mark on a strange career. Previously known as “Ben’s brother Casey,” he had a memorable 2007, starring in Gone Baby Gone and further cementing himself as a solid supporting actor with another appearance in Steven Soderbergh’s Ocean’s movies and grabbing an Oscar nomination for The Assassination of Jesse James by the Coward Robert Ford. After this, he didn’t appear in anything for two-plus years, before directing brother-in-law Joaquin Phoenix’s bizarre experiment/prank I’m Still Here. Since then, Casey has been choosing his projects more selectively (multiple David Lowery films, Interstellar), before Matt Damon gifted him the lead in Manchester by the Sea. Although Casey does an excellent job, the Gone Baby Gone performance that caught everyone’s attention was Amy Ryan as Amanda’s vulgar and irresponsible mother. To be sure, it’s a juicy role, but Ryan is tremendous in it. She’s an oncoming trainwreck, you know disaster is imminent but you can’t stop watching. Mostly a TV actress before, her Oscar nom was the only one Gone Baby Gone achieved that year, and her profile rose afterwards. Since then, she has continued to find work in worthwhile films like Win Win, Birdman, and Bridge of Spies. Ed Harris and Morgan Freeman didn’t need their profiles to rise any more, but they are predictably good, delivering nuance as compromised police officers. What’s most impressive about this film is just that, the nuance and thoughtful moral ambiguity. When Casey Affleck’s detective Kenzie is confronted with an agonizing decision at the end (let Amanda live a happy, comfortable life or send her back to her neglectful mother), the movie doesn’t provide us an easy answer. I’ve seen it three times now, and each time I’m left shaken and ambivalent. I still don’t think I’ve decided which side of the fence I’ve fallen on. That’s the sign of an effective film. Near the end, Kenzie has a conversation outside a hospital with Remy Bressant (Ed Harris’ cop) that is the film at its best. Bressant is drunkenly and forcefully explaining why he has (and will continue to) planted evidence on child molesters. If you touch a kid, it’s an easy decision to put you down, he says. Kenzie responds that “It don’t feel easy.” Gone Baby Gone is bleak, conflicting, and unafraid in the face of tough moral questions. This is why it remains Ben Affleck’s best directed film, despite the thrilling action of The Town and the prestige entertainment of Oscar-winning Argo. From Gone Baby Gone forward, Affleck has continually proven that, yes, the guy who starred in Gigli is capable of this. ← Where Do Curry and Durant Rank Among All-Time Duos?